My sister got married yesterday, which is why it’s been a bit silent around here. 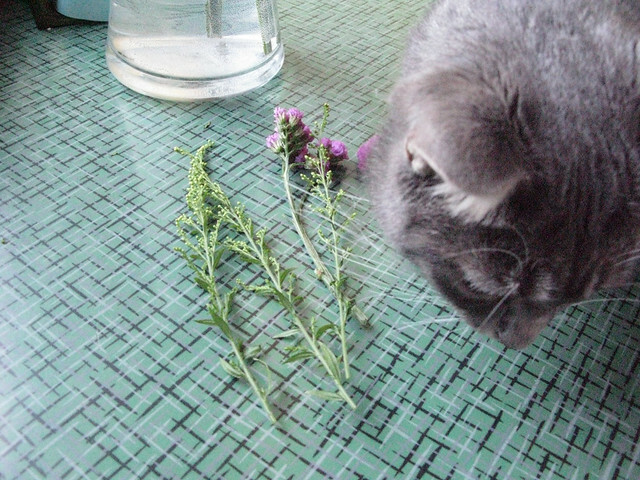 Everything went off well, including my cat and I making the boutonnieres the morning of the wedding. 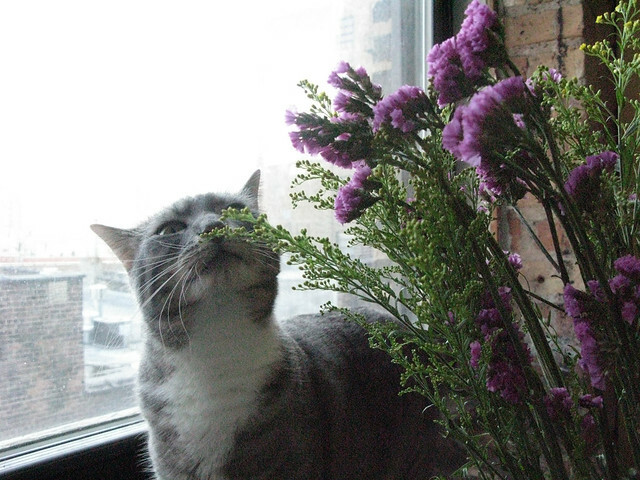 She sure was a great help and kept trying to walk off with the flowers in her mouth. The bouquets were made by Larkspur in Bucktown and they came together beautifully. The guys originally were just going to wear pocket squares, but good ones were hard to find and we had to improvise. It was a grand time which ended in an epic dance party and continued at various places throughout Chicago afterwards, I finally arrived home at 530 am. I’ll post a few photos from my horrible digital camera of her dress either later today or tomorrow, but the good photos will have to wait until we get the official photos back. Now I am going to go take a nap. 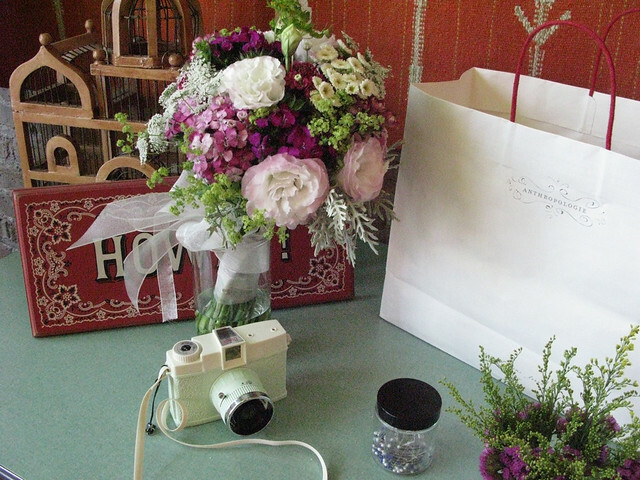 Also, does anyone know what the large pink and cream flowers in the bouquet are called? Love. They are called Lisianthus, and are one of my favourite flowers!! amazing, aren't they? I love how cats try to 'help'! I saw the dress! Amazing job! I'm pretty into illusion netting (if that's what it's called) right now! Yea, flower identification! My mom now wants to try to grow some, which I'm pretty pumped about. anabela – Thanks! If you're talking about the sheer fabric on the top of the dress, it's illusion organza, which is just like organza but much more sheer and fine, but the bottom is netting for sure!